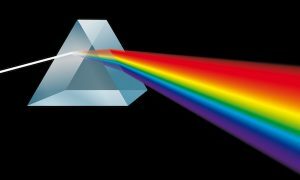 Spectroscopy, primarily in the electromagnetic spectrum, is a fundamental exploratory tool in the fields of physics, chemistry, and astronomy. It allows the composition, physical structure and electronic structure of matter to be investigated at atomic scale, molecular scale, macro scale, as well as over astronomical distances. Important applications arise from biomedical spectroscopy in the areas of tissue analysis and medical imaging. Artificial Intelligence for Spectroscopy (ARTIST) is a new approach to spectroscopy that uses artificial intelligence (AI) to accelerate the spectroscopic analysis of materials and the discovery of new molecules or materials, and instantly determines how a molecule will react to light. ARTIST was developed by researchers at Aalto University and the Technical University of Denmark to help speed the development of new technologies, from wearable electronics to flexible solar panels. Using AI (artificial intelligence) ARTIST can quickly determine the spectra of individual molecules. “Normally, to find the best molecules for devices, we have to combine previous knowledge with some degree of chemical intuition,” said researcher Milica Todorovic. “Checking their individual spectra is then a trial-and-error process that can stretch weeks or months, depending on the number of molecules that might fit the job. Our AI gives you these properties instantly.” The team considers ARTIST to be the first step toward building an AI-spectroscopist to harvest the wealth of already available spectroscopic data. ARTIST is based on custom-made deep neural networks (DNNs) that learn organic molecules. The DNNs can predict the peak positions of molecular ionization spectra with an average error as low as 0.19 eV and the spectral weight to within 3 percent. The DNNs infer the spectra directly from the molecular structure and do not require auxiliary input. The researchers said that the predictions made by the DNNs are fast (a few milliseconds for a single molecule), which could facilitate their application to large databases and high-throughput screening. ARTIST can help make predictions for a new data set of more that 132,000 organic molecules. During the research, it was used to make predictions for a new data set of organic molecules that was not used in training the DNNs. It was able to make spectra predictions for 10,000 molecules at no additional cost in relationship to the computations. To ensure that the information is being passed correctly to researchers within their particular field of discipline, it’s imperative that the lens design is of the highest quality possible. The engineering team, along with the manufacturing department at Universe Optics will work with your developers to craft the precision lens necessary for your design.